We are easily accessible from Interstate 65, Interstate 59/20, Highway 31, and Highway 280. No weapons of any kind are allowed in the Alabama Theatre. All guests will be scanned with metal detectors and bags will be checked before entry to the building. Entire floor level with 3 main sections. Left side seats are evenly numbered consecutively from right to left beginning with seat 2. 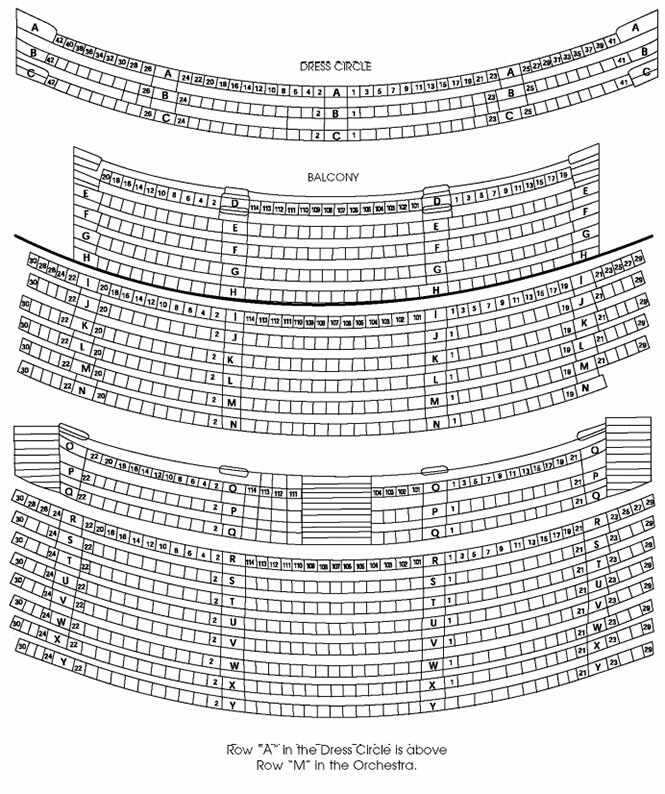 Center seats are numbered consecutively from right to left beginning with seat 101. Right side seats are oddly numbered from left to right beginning with seat 1. Row A extends over row G in the Orchestra. Both in the upper level. Dress Circle is in front of the balcony and is slightly lower. Row A of the Dress Circle extends over Row M in the Orchestra. The Alabama Theatre is fully ADA accessible on the main floor. A Phonic Ear System for the hearing impaired is available. Interpreters can be arranged given at least two weeks notice. Parking lots near the Alabama Theatre are shown in orange on the map below. For events (usually movies) presented by the Alabama Theatre parking is FREE in these lots. However, there is A CHARGE FOR PARKING in the RED lots for events such as concerts that are presented by promoters.